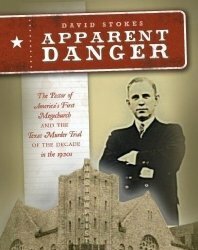 The subtitle of the book is “The Pastor of America’s First Megachurch and the Texas Murder Trial of the Decade in the 1920s.” This is a research project by David Stokes about J. Frank Norris and his acquittal for the killing of D.E. Chipps on the grounds of self-defense. Although the book was an interesting read, I couldn’t help but feel that I was getting a one-sided view of the facts. Most of the research was taken from newspapers and books about the city of Fort Worth and its culture and current events of the day. This only proved to me how much a fiery, fundamentalist preacher like Norris stood out and angered the community of unbelievers. Little was reported from the perspective of the congregation or Norris’s own family, nor was there a thorough assessment of the southern fundamentalist movement in the 1920s in the same manner that the author explored the secular culture of the day. Least helpful to me was Stokes’ tendency to bring up any interest the KKK had with Norris, yet he ignored any number of possible explanations not the least of which is the nature of ministry in which pastors find themselves conversing with people of all walks of life. Most helpful to me were the few transcripts of the actual trial which finally gave me some information from both sides of the story, and yet still the defense’s testimony wasn’t heard until Chapter 41 of the 46 chapters. What really happened is still a mystery to me.